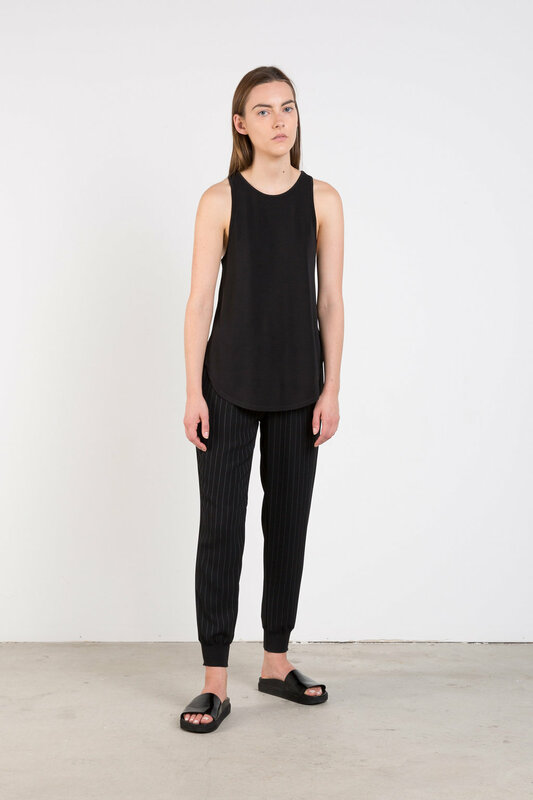 This sophisticated tank top features a rounded hemline on an otherwise classic tank. Slightly oversized, this tank was made to drape over your feminine silhouette. Wear it tucked in for a dressed up look or untucked to be more casual. Fabric Content: 95% Polyester, 5% Spandex Care Instructions: Machine wash cold, tumble dry low or lay flat to dry. Cool iron. Fit: Relaxed Approximate Measurement: XS: 32" bust x 25" length S: 34" bust x 25.75" length M: 36" bust x 26.5" length L: 38" bust x 27.25" length Model's height is 5'9". Model wears a size small.